I’ve been dealing with a lot of works lately. From Internships, to articles, to projects, finals and our College week. I almost came to the point where I don’t think my brain can manage to organize all these. Anyway, I remember reading somewhere that humans only use 10% of their brain. I did google it and its true. So I decided to make this my desktop background. haha! 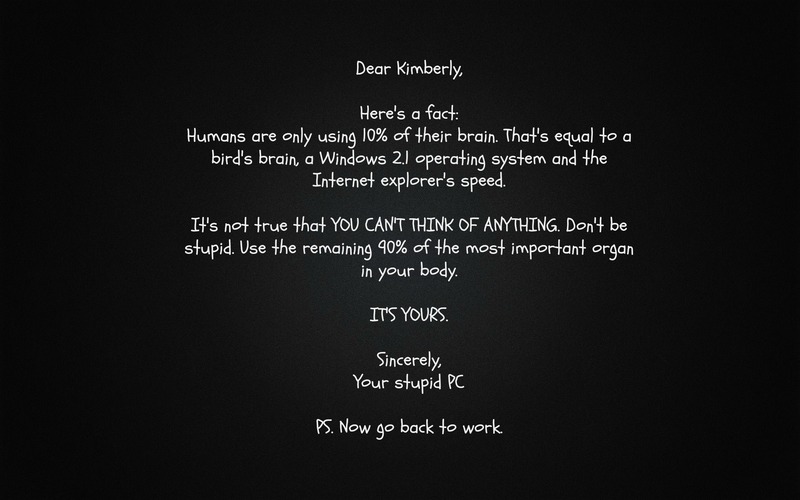 A letter from my er… Stupid PC.